In a swamp near Veracruz, an anonymous tip led to the discovery of eight bodies. The area where the bodies were found is near Bocas del Rio, where 35 bodies were dumped in September. In La Piedad, Michoacan, town Mayor Ricardo Guzman, 45, was shot and killed. Guzman was handing out campaign flyers outside a restaurant when a gunman in a black SUV shot him once with a pistol. He was a member of President Calderon's PAN party. In March, La Piedad police chief Jose Luis Guerrero was killed by gunmen with AK-47s. His successor was later attacked by up to 40 gunmen traveling in a ten-car convoy, but survived. In Saltillo, Coahuila, at least three people were killed during a series of fire fights which took place in several locations around the city. Two of the dead were police officers. The fighting began between two groups of rival traffickers in the afternoon. Later in the day, students at a local university were trapped during a gun battle between Marines and unidentified gunmen. In Mexico City, SEDENA announced that 14 soldiers were convicted and given prison sentences for the shooting deaths of three children and two women who were killed at a checkpoint in Sinaloa in 2007. The commanding officer was given a 40-year sentence, and another officer given a 38-year sentence while 12 enlisted soldiers were given 16-year sentences. Near Mexico City, a high-ranking member of the La Borradora Organization was captured by police. Victor Manuel Rivera Galeana, "Victor el Gordo," 35, is thought play a large role in his organization’s battle for control of retail drug sales and criminal activities in the Acapulco area. In Ciudad Juarez, six gunmen were killed during a massive fire fight between groups of rival criminals. Two of the gunmen were killed in a car with Texas plates. Over 400 bullet casings were recovered after the battle. In Culiacan, 11 people were killed in two separate incidents. In one of the incidents, eight people gathered at a volleyball court were killed when gunmen descended from several vehicles and opened fire on them with automatic weapons. In another part of the same city, two men and a woman were gunned down. The killings are all thought to be related to the recent killing of Sinaloa Cartel enforcer Francisco "Pancho" Arce, who was said to be responsible for the murder of a nephew of Juarez Cartel boss Vicente Carillo Fuentes in Sinaloa not long ago. In Hidalgo, Texas, two alleged Gulf Cartel members were arrested and charged in connection with an attempted kidnapping that occurred on Tuesday. The victim was rescued from the trunk of a car as the men attempted to smuggle him into Mexico. According to police, the men were attempting to recover a 1,500 pound narcotics shipment that had gone missing. Several other suspects are still being sought. In Guamuchil, Sinaloa, three bodies were left hanging from an overpass. At least one of the victims had been tortured before being killed. The other two appear to have been stored in a freezer until being dumped. In Veracruz, the offices of local newspaper El Bueno Tono were torched after gunmen stormed the building and told employees to flee. Nobody was injured in the incident, which involved at least 10 hooded and heavily armed men. In Tijuana, an Arellano-Felix Cartel boss was captured after he opened fire on a car carrying two rival traffickers. Juan Francisco Sillas Rocha, "El Ruedas," 34, is thought have reported directly to cartel boss Fernando "The Engineer" Sanchez Arellano. Sillas is thought to have played a large part in the AFO's fight with the Sinaloa Cartel between 2007 and 2009 and is alleged to have masterminded the kidnapping of three women tied to Sinaloa Cartel figure Ismael "El Mayo" Zambada in 2010. In Sinaloa, the mayor of the tourist town of Mazatlan was unhurt when his car was ambushed by gunmen on the highway to Culiacan. Alejandro Higuera Osuna was traveling in a convoy with his bodyguards when they were ambushed by at least ten men who had been hiding in the brush. In Ciudad Juarez, the dismembered bodies of two men were left on a busy street. Their heads were inside two coolers. A note, whose contents have not been revealed, was left with the bodies. In Nuevo Laredo, a blogger was found beheaded. The man, so far only identified by his online moniker "Fiddler", was a moderator on the blog "Nuevo Laredo en Vivo". His body was left with a note which said that he had "failed to understand I must not report on social networks." In an interview published in the New York Times, President Calderon said he believes that Sinaloa Cartel boss Joaquin "El Chapo" Guzman is in the United States. "He is not in Mexican territory, and I suppose that Chapo is in American territory," he said. Calderon also questioned why Guzman's wife wasn't detained when she gave birth at a Los Angeles area clinic in August. In Arizona, an ICE officer was arrested for marijuana smuggling after a high-speed chase with authorities. Jason Alistair Lowery, 34, had been under investigation for more than a month after a known smuggler who had been arrested identified him as being involved in drug rips and in trafficking. He was arrested after agreeing to pick up 500 pounds of marijuana from a desert location. In Texas, the nephew of an imprisoned Gulf Cartel leader was arrested during a traffic stop in Port Isabel. Rafael Junior Cardenas Vela was charged with immigration and drug conspiracy charges in the operation, which was conducted by ICE. Rafael Cardenas allegedly admitted to being involved in large cocaine and marijuana shipments to the US. Additionally, a July 8 shootout near Brownsville is attributed to a Zeta attempt to capture or kill Rafael Cardenas. In Monterrey, a car bomb attack was conducted against a military patrol which had been chasing suspected cartel members. No soldiers were wounded in the incident, which took place after they gave chase to a car with suspicious men on board during a patrol. Several other car bomb incidents have taken place in Mexico over the last year. In Veracruz, eight bodies were found in the town of Paso de Viejas. In Tecamac, Mexico State, a well-known local drug trafficker was arrested along with 10 of his bodyguards. Adrian Soria Ramirez, "El Hongo," had been leading a gang currently fighting for control of drug sales in several areas of the greater Mexico City area. In Durango, cartel activity led much of the population of the towns of Villa Ocampo and Los Nieves to lock themselves inside their homes when a convoy of armed men passed through the area. The local municipal police force fled to their station. Three men were abducted by the convoy and later found executed. In Sinaloa, the army raided an auto shop used by cartel members to bulletproof vehicles. Ten people were taken into custody and 16 vehicles were seized. Similar bulletproofing shops have been discovered in other parts of Mexico, notably Tamaulipas. In Ciudad Juarez, at least 9 people were murdered. Among the dead was a jeweler who was shot dead in his home by two armed men, and one person who was decapitated. In Tamaulipas, a Mexican army unit was deployed to the Frontera Chica area across the Rio Grande from Starr County, Texas. The soldiers, from Mexico's 105th Battalion, will patrol the Camargo, Miguel Aleman and Ciudad Mier areas in response to recent fighting in the area. In Acapulco, authorities announced that they recently arrested a man and a woman and discovered an icebox with a human head and other remains in the car they were driving. The car was pulled over by federal police because it matched the description of a car used in a recent kidnapping. The female suspect, 19 year-old Damaris Gomez, allegedly is the leader of a group of assassins employed by a local criminal organization. In Veracruz, the young son of a Zeta boss who was killed in May was kidnapped by armed men dressed in fatigues. A friend of his was also taken. His father, Rolando Veytia Bravo, "El Manitas," was allegedly the Zeta boss for Veracruz until being killed in a shootout with the military in May. In Saltillo, Coahuila, a high-ranking Zeta commander was captured. Carlos Oliva Castillo, "La Rana," is alleged to be the third highest ranking member of the organization and is thought to have ordered the August 25 attack on a casino in Monterrey which left 52 people dead. His arrest sparked a series of gun battles throughout the city as cartel gunmen attempted to rescue him from the Mexican military. His bodyguard and girlfriend were also taken into custody. In Ciudad Juarez, at least 16 people were murdered. Among the dead were three anti-extortion investigators with the state Attorney General's Office who were gunned down near a high school. Additionally, a municipal police officer was shot and killed while waiting for his family in a supermarket parking lot. In Sinaloa, five gunmen were shot and killed by municipal police and soldiers. Four were detained, including two who were wounded. In Mexico City, President Calderon acknowledged that the state of Veracruz had previously been left in the hands of drug traffickers. Violence has increased dramatically in Veracruz this year. Former Veracruz Governor Fidel Herrera Beltran, who left office in December 2010, has repeatedly been accused of having allowed the Zetas to operate freely. He has rejected the accusations. In Matamoros, a prison fight left 20 inmates dead and 12 wounded. The fight apparently began between two individuals, but others soon joined in. It took authorities several hours to reassert control of the facility. In Piedras Negras, Coahuila, 61 hostages were rescued from a safe house where they were being held captive. Three armed men guarding them were taken into custody. Shoot-outs were reported in the area throughout the day as the city was cordoned off and swept by the military. In Vallecillos, Nuevo Leon, nine suspected Zetas were captured by members of the army. At least 21 gunmen were killed by troops during three days of operations. Authorities suspect that a Zeta training camp was located in the area. Vallecillos is roughly 100 miles from Monterrey. In Veracruz, authorities announced that nearly 1,000 police officers have been fired in an effort to root out corrupt elements of the force. The 980 officers were fired after failing lie detector tests and other parts of the vetting process. In Mexico State, authorities announced the capture of a founder of a criminal network that operates in the Acapulco area. Christian Arturo Hernandez Tarin, "El Cris," was arrested with three associates. His organization, the "Street Sweepers," was formerly an underling of Edgar Valdez Villareal, "la Barbie." In Culiacan, Sinaloa, a top Sinaloa cartel leader was arrested without incident. Noel Salguiero Navarez, "El Flaco Salguiero," was the head of La Gente Nueva, which is considered the armed wing of the Sinaloa Cartel operating in Chihuahua and several other states. He is also thought to have been leading the Sinaloa Cartel's push to take Ciudad Juarez. In Veracruz, 32 bodies were discovered at three locations. The discovery came after Marines took eight members of the Jalisco New Generation Cartel prisoner, who then led them to the locations. The government alleges that these men, who call themselves Zeta-Killers, are also responsible for the 35 bodies found on September 20. Additionally, 12 members of the Zetas were captured, including Aguiles Amaranto Cruz Hurtano, the Zeta boss for the Veracruz region. In Veracruz, Attorney General Reynaldo Esperez Perez resigned his office in the area. Escobar Perez was in office for only seven months. He is to be replaced by his deputy. Near Monterrey, authorities announced that several police officers are being detained for allowing kidnap victims to be housed by their kidnappers in a local jail while negotiations were taking place. The hostages were rescued earlier in the week. The officers are thought to have been working for the Zetas. In Veracruz, 10 more bodies were discovered. Seven of the dead were discovered in the bed of a truck and the other three were found on roadsides in two different locations. In Linares, Nuevo Leon, the entire police force of over 100 men was taken into custody for possible corruption and ties to drug trafficking groups. They were all driven out of the town on buses while the investigation continues. Mexican soldiers and federal police will take over policing duties in the town. In Ciudad Juarez, at least seven people were killed. Among the dead were three men who were gunned down in the parking lot of a store in front of dozens of horrified witnesses. In Zacatecas, six police officers were killed in an ambush. The policemen were returning to the city of Valparaiso from a party when they were intercepted by a group of men wielding assault rifles and hand grenades. In Ciudad Juarez, at least seven people were murdered in four separate incidents. In one incident, two boys, aged 16 and 17, were gunned down inside a home in the El Papolote area of the city. Later that afternoon, three men were killed inside a home in the Fray Garcia de San Francisco area. In Mexico City, the Navy announced that 11 cartel members were killed and 36 captured during five days of raids in several parts of Tamaulipas. Additionally, four tons of marijuana was seized from two locations and 251 grenades were confiscated. Among those captured was the Gulf Cartel chief for the city of Miguel Aleman. In downtown Monterrey, three men were shot and killed in separate incidents. In one incident, a 51-one year old man was shot and killed with an AK-47 after his car was intercepted by unknown gunmen. In Ciudad Juarez, at least four people were murdered. In the Granjas de Chapultepec neighborhood, a family of three was executed in their home after it was attacked by a group of at least eight hooded gunmen. In Monterrey, three men were shot dead by heavily armed gunmen. Reports indicate that the victims were driven to the scene of the crime by men traveling in SUVs, who lined them up against a wall and executed them. In Veracruz, Mexican marines captured a wanted Zeta hit man. Angel Mora, also known as "Comandante Diablo," was captured alongside one other man. Mora is thought to operate in Veracruz and Boca Del Rio and is suspected of being involved in the killing of three marines in Late July. In Ciudad Juarez, September ended with 146 murders. This is an increase from the 122 killed in August, but fewer than the 218 killed in July. February was the bloodiest month in the city this year, with at least 231 murders haven taken place. According to statistics kept by researcher Molly Molloy, the death toll this year in Juarez is approximately 1,600, or about 5.8 a day. The death toll since January 2008 is over 9,000. October 2010 was the city's most violent month, with 350 murders. In New Hampshire, Republican presidential candidate Rick Perry said that he is open to sending American troops to Mexico to help the Mexican government combat drug cartels. Perry compared the situation in Mexico today to that of Colombia in the late 1980s and early 1990s. "I think we have to use every aspect of law enforcement that we have including the military. I think we have the same situation as we had in Colombia. Obviously, Mexico has to approve any type of assistance that we can give them," he said. In Zihuatenejo, Guerrero, seven bullet-riddled bodies were discovered near a downtown bus station. A note left with the bodies claimed to be from the Knights Templar organization, an off-shoot of La Familia Michoacana. In Mazatlan, three men and two women were gunned down outside a liquor store. Mazatlan is a well-visited tourist resort in the state of Sinaloa, which is widely considered the historical birthplace of drug trafficking in Mexico. In Mexico City, police discovered two severed heads near to the city’s most important military facility. It is the first multiple decapitation reported in Mexico City since January 2008. A note left near the heads mentioned the "Hand with Eyes" organization. Mexico City has been largely spared from drug-related violence. In Nuevo Leon, 175 local police officers were arrested during a three-day sweep of Apodaca, Pesqueria, Mina, and Santa Catalina. At least 7 of the 82 officers detained in Apodaca are thought to have been involved in the August murder of a man who was detained after being caught spying on the officers. In Nicaragua, police arrested three men thought to have been recruiting men to go to Mexico and fight for the Zetas. The three men had apparently been tasked with identifying men with military experience and offering them $2,000 a month to go to Mexico. A fourth suspect has been identified, and is alleged to have been paid $4,000 per recruit. Near Veracruz, nine previously escaped inmates were recaptured during a marine raid on a suspected Zeta camp in a rural area outside the city. Five other suspects were taken into custody during the operation. 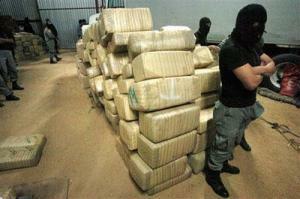 In Tijuana, 358 kilograms of cocaine were seized near the border with the US. It is unclear to whom the shipment belongs, but a similar operation carried out a week ago netted 232 kilograms which are thought to belong to El Chapo Guzman's Sinaloa Cartel. In Acapulco, two men were shot dead inside a shop. At least two vehicles, including a Hummer, were set on fire by the gunmen as they made their escape. In Michoacan, a federal anti-narcotics unit captured one of the last remaining members of La Familia Michoacana, Martin Rosales Magana. Three other men were taken into custody during the operation. Federal authorities say that Rosales was planning a mass attack on the rival Knights Templar Organization with some 200 gunmen. In Veracruz, the Mexican navy announced that 11 bodies were discovered in several parts of the city. Additionally, police assaulted three journalists outside a morgue and ordered them to delete photos that they had taken. In Sinaloa, gunmen shot and killed the nephew of former Juarez Cartel boss Amado Carrillo Fuentes, "the Lord of the Skies." Francisco Vicente Castillo Carrillo, 18, was traveling along a highway when he was intercepted by gunmen wielding AK-47's, causing him to lose control of his vehicle, which caught on fire. On several Mexican websites, a group of armed paramilitaries posted a message in which they vow to eliminate the Zetas Organization. The men, all dressed in black, claim to be the "armed wing of the people" and offer apologies to the public and the Mexican government, and condemn corrupt civil servants in various Veracruz municipalities. A similar video was recently issued by a Sinaloa Cartel allied organization called the Cartel Jalisco Nueva Generacion, which is challenging the Zetas for control of the Veracruz region. In Ciudad Juarez, at least eleven people were murdered in several incidents in the city. Among the dead was the chief of an important municipal police station in Babicora who was gunned down as he walked to his car at the end of his shift. In Mexico City, the Defense Secretariat announced that 22 suspected cartel members were killed and three soldiers wounded during a 15-day sweep in the states of Nuevo Leon, Tamaulipas, Coahuila and San Luis Potosi. Operation Scorpion, which began on September 10, resulted in 13 engagements and the rescue of 14 kidnap victims. The operation also netted 118 handguns, 459 rifles, 84 grenades, 272 vehicles, and significant quantities of cash and narcotics. In July, a similar operation, "Northern Lynx," led to the arrest of nearly 200 suspects and the death of another 30, most thought to have been members of the Zetas. In Ciudad Juarez, at least three people were killed, including a woman who was kidnapped and later found with her throat slit. One of the other victims was discovered with his hands and feet bound and executed. In Acapulco, five decomposing heads were found outside an elementary school. The heads were placed in a white bag atop a wooden box, in full view of students and faculty. In Tamaulipas, heavy fighting was reported in several cities. In Matamoros, prolonged firefights took place in several locations, in some instances lasting over half an hour. The initial gun battle broke out between rival cartels, but Mexican authorities arrived shortly after, leading to a three-way fight. Fighting later spread to other areas of the city as gunmen set up road blocks to interfere with the army's movements. The International Bridge to the US was temporarily closed. In the Rio Bravo area, several incidents were reported, including grenade attacks on a movie theater and a state police building. In Reynosa, three different grenade attacks were reported which resulted in no casualties. Grenade attacks were also reported on a Federal Electric Commission warehouse in Ciudad Victoria. On a highway near McAllen, Texas, a 32-year old Mexican national was shot and killed along with a 22-year old passenger. Authorities have said that the driver, Jorge Zavala, has ties to the Gulf Cartel in Reynosa and Matamoros, leading to speculation that he was killed because of an internal power struggle within the cartel. In Ciudad Juarez, at least four people were murdered. Among the dead were two men who were snatched by heavily armed gunmen from a residence earlier in the day. Both were found shot dead and showing signs of torture. In Romulus, Michigan, the former Romulus police chief and five other former officers were arrested Monday on charges they stole thousands of dollars from the department's drug forfeiture accounts. Former Chief Mike St. Andre, his wife, and the five former officers had been under investigation in a probe stretching back three years. St. Andre's homes in Romulus and Garden City were raided earlier this year, and the chief resigned just two weeks ago. No word yet on the formal charges, but the chief and his wife are now free on bond. In Tucson, Arizona, a US Customs and Border Protection officer was indicted Monday on charges he knowingly let 547 kilograms of marijuana pass through his inspection lane at the Douglas crossing. Officer Luis Carlos Vasquez, 32, was charged along with five other people with conspiracy to possess with intent to distribute marijuana, possession with intent to distribute marijuana, conspiracy to import marijuana and importation of marijuana. Vasquez is out on a $100,000 personal appearance bond. He is looking at up to 40 years on each count, with a mandatory minimum of five years. The bust was conducted by an FBI border corruption task force, with help from the ICE Office of Professional Responsibility and the Douglas Police. In Brownsville, Texas, a former federal probation officer was sentenced Monday to 14 years in prison after copping to drug trafficking and bribery charges. Armando Mora had worked as a probation officer in Rio Grande City and admitted accepting bribes from members of a drug trafficking organization in exchange for sensitive, confidential information from government records. The cartels used that information to do background checks on people they were thinking about hiring as drivers. In Boston, a former Massachusetts jail guard was sentenced Tuesday to 2 ½ years in prison for his role in a plot to smuggle heroin to inmates at a middle-security prison near Boston. Ronald McGinn Jr., 40, had sent text messages to an undercover FBI agent about the amounts he would smuggle and fees he would charge and was arrested in April while in possession of 29 grams of heroin. McGinn went down after another jail guard snitched him out. In Philadelphia, authorities announced the dismantling of a drug trafficking network with ties to the Sinaloa Cartel. In total, five people were arrested, three of them in Pennsylvania and two in Texas. Ten kilos of cocaine, cash and weapons were also confiscated. In Matamoros, fire fights and blockades were reported in several parts of the city, effectively shutting the city down. Residents posted pictures of hijacked buses parked across streets and city officials confirmed that incidents occurred on the highway to Reynosa. It is unclear whether any fatalities occurred during the incidents. In Ciudad Victoria, Tamaulipas, a car bomb exploded during Mexican Independence Day celebrations. No injuries were reported. In Querandaro, Michoacan, Independence Day celebrations were canceled after a group of 40 heavily armed gunmen arrived in the town’s main square and ordered the crowd to disperse or be attacked, causing people to flee in panic or hide inside government buildings. No injuries were reported. In Huamuxtitlan, Guerrero, the body of a missing federal congressman and his driver were found in a river. PRI congressman Moises Villanueva had been missing since September 4th, when the two men disappeared after leaving a party held by a fellow party member. Mexican media reported that both men had been shot and appear to have been dead for some time. In the Monterrey suburb of Santa Catarina, authorities announced that 44 police officers have been taken into custody on suspicion of working as lookouts for and protecting the Zetas. At least 69 others are still under investigation. In Mexico City, a high-ranking Sinaloa Cartel leader was arrested. Jose Carlos Moreno Flores is thought to have been the head of the Sinaloa Cartel in Chilapancingo, Guerrero, and is known to have had ties to drug traffickers in Guatemala and Costa Rica. He is also thought to have played a key part in turf wars fought over Chilpancingo between the Sinaloa Cartel and rival groups. In Veracruz, 32 prison inmates escaped from three facilities in simultaneous jail breaks. 14 of the inmates have already been recaptured and the Mexican military has deployed to search for the remaining 18. All 17 prisons in Veracruz are being checked to ascertain whether any other prisoners are missing. In Michoacan, the army captured a high-ranking member of the Knights Templar Organization. Saul Solis Solis, 49, is a former police chief and at one time was a congressional candidate for the Green Party, finishing fourth in the 2009 congressional race for his home district. He is also suspected of being heavily involved in narcotics cultivation and meth production, as well as in multiple attacks on federal forces, including a May 2007 attack that killed an officer and four soldiers. In Veracruz, the bodies of 35 people were dumped on a busy street near a shopping center by a group of heavily armed gunmen who pointed weapons at passing motorists. According to Mexican media sources, most of the gunmen were identified as having criminal records and links to organized crime groups. A banner left with the bodies claimed that the dead were Zetas. Some of the victims had their heads covered with black plastic bags and appeared to have been tortured. One of the bodies has been identified as a police officer who went missing two weeks ago. In Ciudad Juarez, at least eight people were murdered in several incidents across the city. In one incident, three teenagers were walking along a street when they were intercepted by a group of gunmen, who killed two and severely wounded the third. In another incident, a 32-year old mother of 8 was shot dead outside her home. In Mexico City,two female journalists were found murdered. Ana Maria Marcela Yarce Viveros and Rocio Gonzalez Trapaga were discovered by joggers in a park in a working class neighborhood. Both were naked. Yarce was a reporter for the investigative journalism magazine Contralinea and Gonzalez was a freelance journalist who used to work for Televisa. Near Reynosa, police discovered the body of a top Gulf Cartel boss. Samuel Flores Borrego, 39, also known as "El Metro 3," appears to have been killed by members of his own organization for reasons that remain unknown. The body of Flores was found alongside that of a police officer. Both men had been shot. Flores, for whom the US Government had been offering a $5 million reward, is widely credited with being responsible for the bloody rift between the Gulf Cartel and their former enforcers, the Zetas, after he killed a high-ranking member of the Zetas in January 2010 in Reynosa. His replacement has already been identified as his former second-in-command, Mario Armando "Pelon" Ramirez Trevino. In Hidalgo, 16 police officers were among 31 suspects taken into custody on suspicion of working for the Zetas. 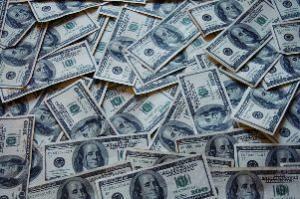 Authorities said that the arrests came after a cartel payroll was discovered during an arrest. Hidalgo is the home state of Zeta boss Heriberto Lazcano Lazcano, "El Lazca." In Mexico City, President Calderon delivered a state of the nation speech in which he vowed to clean up corruption in Mexico's police forces by the time he leaves office by the time he leaves office in December 2012. He also announced the creation of a special federal prosecutor who will be in charge of identifying victims of the violence and find people who have disappeared. In Torreon, six people were killed during a series of incidents near the city's main stadium. Among the dead were three police officers who were killed after being ambushed by heavily armed gunmen. The same stadium was the scene of an August 20 shooting, which caused spectators and players to panic and run for cover. The game was called off. In Nogales, police discovered an underground tunnel dug into a drainage tunnel that leads into the United States. Police found the tunnel using information they received after the discovery of another tunnel on August 16. Nogales is across the border from Nogales, Arizona. In Jalisco, a high-ranking Sinaloa Cartel member was recaptured 40 days after escaping from a Mexico City hospital where he was taken after his original arrest on May 12. Guajardo Hernandez, "El Guicho," is known to have operated in Baja California and had an important role in arranging shipments of cocaine from Colombia to Mexico. In Mexico City, authorities announced that an American citizen was arrested last week for smuggling grenades to the Sinaloa Cartel. Jean Baptise Kingery was arrested in Mazatlan, Sinaloa. Kingery was also arrested in Arizona in August 2010, but was released, purportedly so that American law enforcement agencies could use him as an informant or in a sting operation. US officials said this week in El Paso that the Merida Initiative to help Mexico strengthen its security forces and judicial system in their ongoing battle with criminal drug trafficking organizations -- the so-called cartels -- will shift its focus to Mexico's border states. Other officials defended the "Fast and Furious" Bureau of Alcohol, Tobacco & Firearms (ATF) gun-running scheme that resulted in weapons from the US being transferred to cartel members. The remarks came at the eighth annual Border Security Conference at the University of Texas El Paso (UTEP), just across the Rio Grande River from Ciudad Juarez, one of the most deadly cities in the world in recent years because of prohibition-related violence plaguing Mexico. The conference is a joint undertaking of UTEP and US Rep. Silvestre Reyes (D-TX), a former El Paso sector Border Patrol head. Somewhere around 40,000 people -- there are no official figures -- have been killed in the violence in Mexico since President Felipe Calderon deployed tens of thousands of troops and federal police in December 2006 to confront the increasingly brazen cartels head on. Despite the killing or arrest of dozens of high-profile cartel leaders, the flow of drugs north and guns and cash south has continued largely unabated. 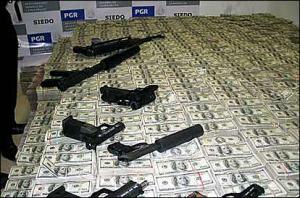 The Merida Initiative, unveiled in 2008, allocated $1.5 billion in US aid to fight the drug traffic. Some of that money was destined for Central America, where Mexican cartels are increasingly encroaching, but the bulk of it is going to Mexico. Much of the Mexico funding has gone to the military and different law enforcement agencies, but given that both the military and the Mexican police are deeply compromised by cartel corruption, it is questionable whether throwing more money at them will accomplish much. Now, said US Bureau of Narcotics and Law Enforcement Affairs assistant secretary William Brownfield in remarks reported by the El Paso Times, the emphasis will shift to Mexico's border states and their state and local police forces. That would be the best way advancing the goals of the initiative's four pillar strategy of disrupting the ability of the cartels to operate, enhancing Mexico's capacity to sustain the rule of law, creating a modern border infrastructure, and building resilient communities, he said. "This is where most of the cartels have focused their activities," Brownfield said Tuesday, adding that Plan Merida will continue no matter who wins next year's Mexican presidential election. "I want to make this clear, it does not matter if it is the PAN, the PRI or another party that wins the elections, the initiative will continue working, even if it undergoes some minor adjustments," he said. "We will proceed and we will succeed. We have no choice," he said. Dallas ATF special agent in charge Robert Champion traced today's horrifying levels of violence not to Calderon's deployment of the troops at the end of 2006, but to conflicts that broke out when the Zetas, former Mexican special forces soldiers turned enforcers for the Gulf Cartel, turned on the Gulf Cartel. "That's the genesis of where the violence began," said Champion. Since then, Champion said, gun running has evolved from being a solely a border issue to being an issue as far north of the border as Indianapolis, St. Paul, and Atlanta. "We now have organized arms trafficking rings," he said, adding that some of them use teenagers to smuggle weapons with the serial numbers erased. Noting that the number of high powered rifles being smuggled into Mexico has increased dramatically in recent years, Champion felt compelled to defend ATF's Operation Fast and Furious, which has excited tremendous anger in Congress after it was found that guns smuggled in the operation ended up being used to kill a US Border Patrol agent and in at least two other killings in the US, as well as countless murders in Mexico. The operation was designed to track the weapons, which would lead to the cartels, but ATF lost track of many of them, effectively acting as an arms supplier for the cartels. "We (ATF) were criticized because we only focused our efforts on attacking the suppliers of these weapons and when we wanted to expand our efforts and attack the criminal organizations, it worked out badly," Champion said by way of explanation. Despite the determined optimism of US officials, others at the conference warned that the situation was deteriorating. Mexico is unable to retain effective control of parts of its national territory, they said. The situation in Mexico "is starting to look like a civil war," said UTEP political science Professor Charles Boehmer. "Juarez is one of the hottest battlegrounds," he added. Nearly 9,000 people have been killed in prohibition-related violence in Ciudad Juarez in the past two and a half years. 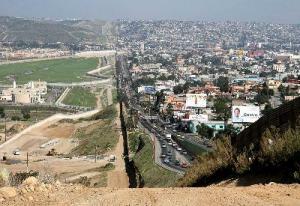 Mexicans are dying to supply the insatiable appetite for drugs north of the border, said Mexican officials. The easy availability of firearms isn't helping either, they said. "That is what has brought about the violence -- the fight for control of US drug distribution," said Alejandro Poire, technical secretary to the Mexican National Security Council. "It's an unprecedented business opportunity for cartels in Mexico." The availability of weapons from the US has created a cartel "arms race," he added. The conference featured lots of happy talk about how to win the Mexican drug war, but largely ignored the most radical option for doing so: legalizing the drug supply and sucking out the oxygen on which the cartels rely. That would not mortally wound the cartels, which are now morphing into all-around criminal enterprises, but it would cut off their main source of income. Maybe next year.